Where in the world is Gibby? - April 8-10, 2019, Monday to Wednesday. - I'm saying this as early as now: no you won't see the usual palaces, no you won't see the N Seoul Tower, no you won't see the folk villages, and no, nothing of those usual things. 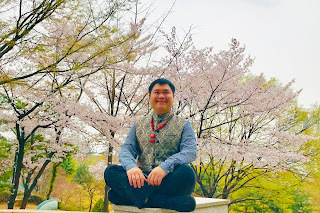 If you wanna see the usual Seoul things, click here (and subsequent parts of the series) and here (and subsequent parts of the series.) 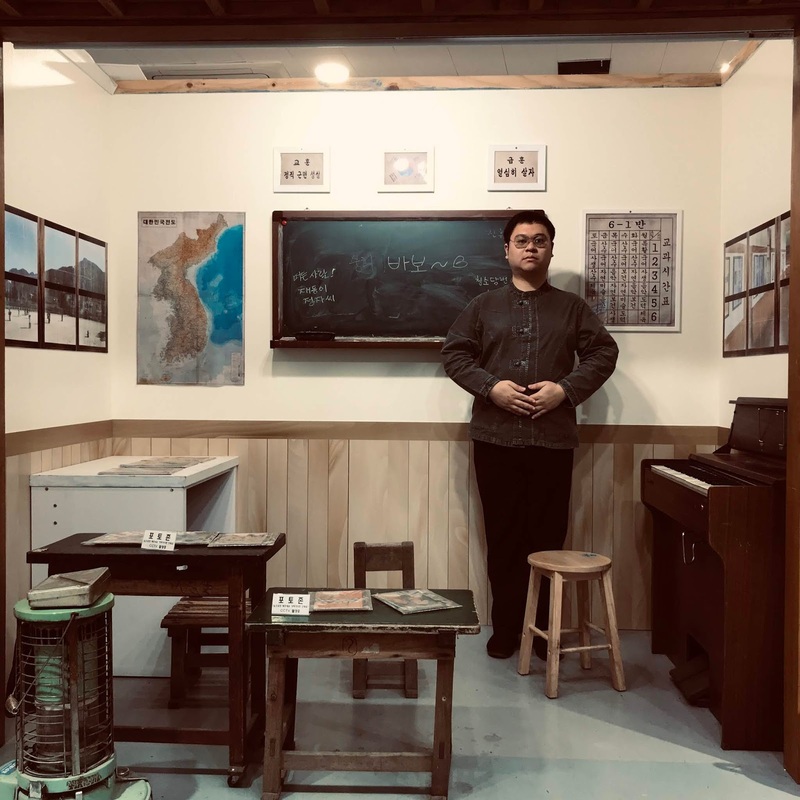 I have been to South Korea 6 times as of 2019, and all but one of my trips were for academic reasons (conferences, workshops, and the like.) This time, I was fortunate enough to be sent to Korea again by my work to meet with some partners institutions in Korea for some proposals and lectures. Our one week trip to Seoul and Busan was filled with meetings that I only had little time to insert some leisure activities. I've done all the usual trips before, and whenever I go back to Seoul, I always try to find new things to do or find new places to visit. Thankfully, I still managed to do something new, or squeeze in some time to revisit some places in Seoul that are very dear to me - most of which were some of Seoul's markets. Was welcomed by these mascots. Glad I was wearing my casual hanbok. - Upon arriving in downtown Seoul from the airport, we checked in our hotel and quickly went out to have a late-night dinner. I was ecstatic to find out that we made it in time for the cherry blossom season. 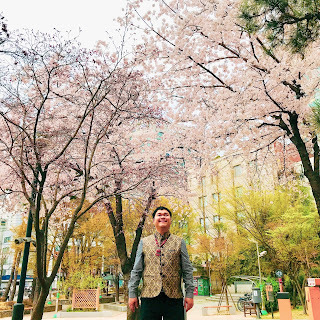 In one particular area in Jongno 3-Ga, cherry blossoms with vibrant pink petals lined the streets as we looked for a restaurant to have our late dinner. I had one of my favorite comfort foods in Korea - army stew or "budae jjigae." It was the perfect stew to warm my body from the 14-degree-Celcius temperature of late night Seoul. 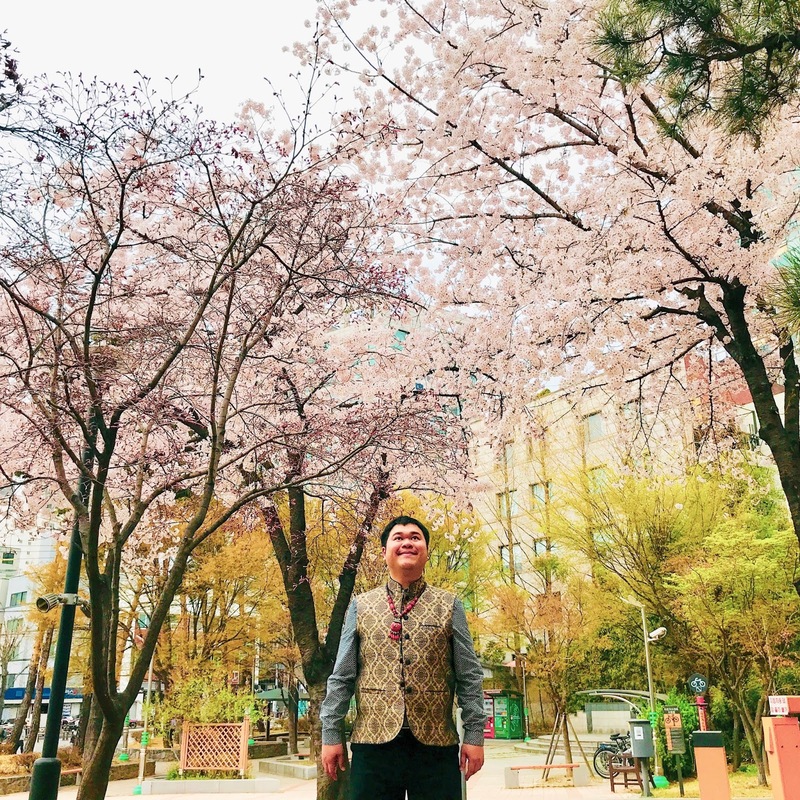 A very traditional photo of Seoul in spring. - The following day I had a meeting at Sogang University with some colleagues until the early afternoon. The university was also lined with lush cherry blossom trees, so I took the opportunity to do a little photo shoot before leaving the university. The colors of the cherry blossoms look even nicer during the day. I've seen cherry blossoms before in Japan, but it was nice to see them again, and appreciate the cherry blossoms' fragile existence. Cherry blossoms are usually a big deal in countries like Japan or Korea, as the flowers only bloom for a week in a year during spring. 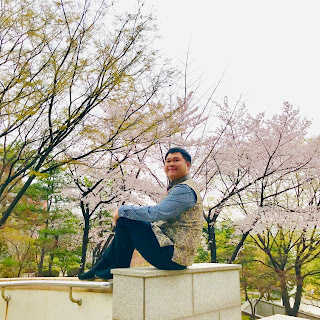 - After visiting Sogang University, I began my journey through the markets of Seoul. The first market I went to was a familiar market to tourists called the Gwangjang Market or Gwangjang Shijang (Jongno 5-Ga metro station exit 8 or 9, open everyday from 9am onwards except Sundays). Originally named Dongdaemun Market, this market opened in 1905 by Koreans as a response to Japanese control of other markets in Seoul. It was the first market to be open everyday of the week. It was named Gwangjang Market in 1960, after the corporation that established the Dongdaemun Market. The term "Gwangjang" was derived from the Gwangkyo ("wide bridge") and Jangkyo ("long bridge"), the two bridges build in that area. - That evening we had a traditional Korean bossam (boiled pork wraps) dinner near our hotel, and had a taste of traditional Tibetan food at my favorite Tibetan restaurant in Seoul - Potala Restaurant (read more about the restaurant here: here). I usually visit this restaurant whenever I visit Seoul. Introducing Tibetan food to my amazing colleagues. My forever favorite: the humble tsampa and yak butter tea. 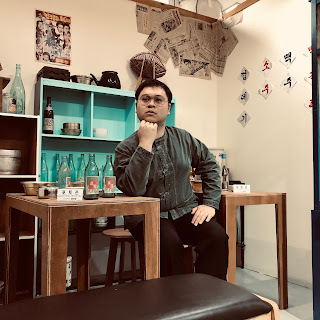 - On my last day in Seoul, a very rainy one, I visited one of the markets that I had been meaning to visit since 2017 - the Seoul Folk Flea Market (Seoul Pungmul Shijang; Sinseoldong metro station exit 9.) The market is open everyday from 10am onwards, except the second and fourth Tuesday of the month. This market sells any item you can think of - second hand clothes and toys, old tapes/records, some traditional clothes (but still better to buy hanboks in Gwangjang Market), electronics, everyday items, antiques, jewelry, you name it! This market is for the adventurous shopper!! Here I am, waiting for the market to open. Wanted these second-hand Mongolian boots but they were not my size. 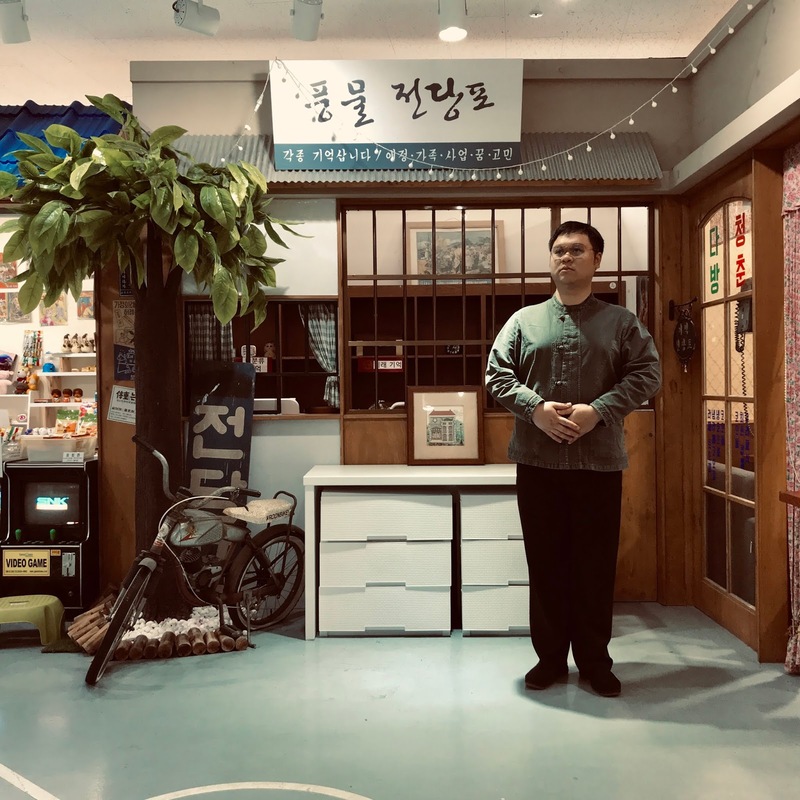 - The Seoul Folk Flea Market's backstory is as interesting as the things that it sells. The stalls inside the market used to be in a flea market in an area called Hwanghak-dong. The stores would line the man-made river now called Cheonggyecheon. In the mid-2000s, the Cheonggyecheon stream was modernized and renovated to the romantic spot that it is today, and the shops were relocated to its current location - a former girls' high school - near the river. 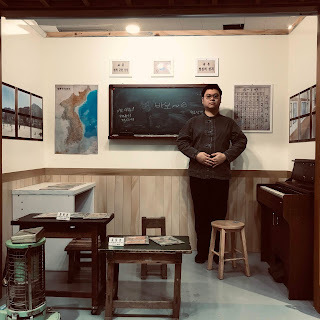 The market today gives people a glimpse of Seoul during the Cold War, not only because of the antiques that some stalls sell, but the music being played and sometimes performed are from the bygone eras of the ahjussis and ahjummas (uncles and aunties) selling their goods. Traditional crafts and food, even some medicinal drinks, are also served at the food court. 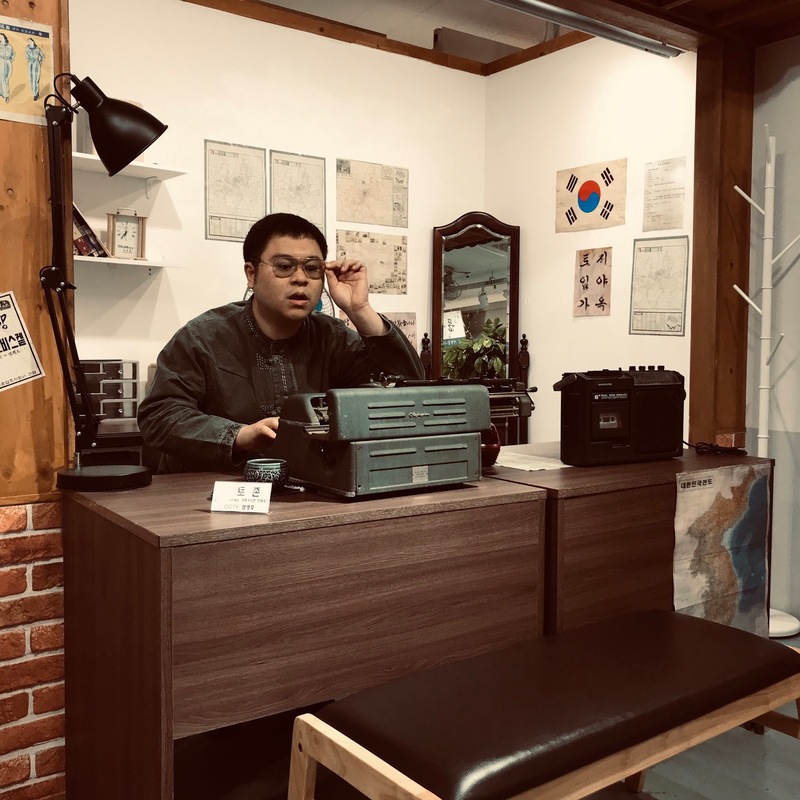 The second floor also had an interesting exhibit of how things were like in Cold-War South Korea. If I were a teacher in the year 19xx. 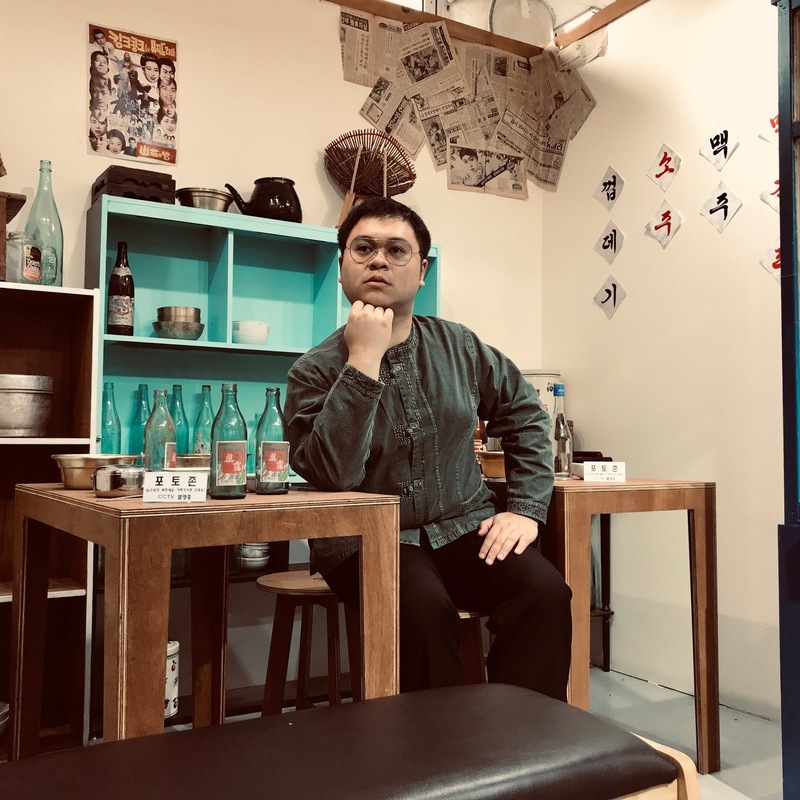 - I left the flea market and rode the metro back to my hotel at Jongno 3-ga, got changed, and accompanied some colleagues to my home in Seoul - Insadong (Anguk metro station Exit 6, or Jongno 3-ga metro station exit 5 and walk around a few minutes.) Insadong used to be a residential area in the Joseon Dynasty, around 500 years ago. Eventually, it became a trading place for antiques, and after renovations and improvements throughout the years, it transformed into a street known for selling souvenirs and handicrafts. Insadong, by the way, is known for its giant paintbrush statue that marks the start of the street. It has always been a ritual for me to take a photo in front of this paintbrush. My always go-to souvenir store is a colorful souvenir store across the entrance of Ssamziegil mall, under a sign that says "사무당표구사" (samudang pyogusa). 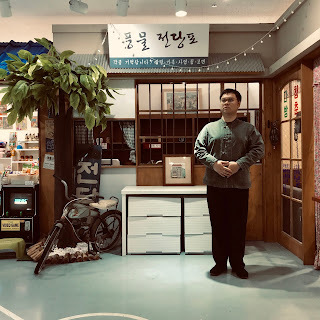 The young lady who runs the store is named Hyeonju. I've been going to her store for souvenirs since 2011!! I'm happy that she always remembers me. Insadong is always home to me. - The funniest thing happened to me in Insadong. While standing in the middle of the road. Someone shouted my name twice. I thought I was hallucinating, when it turned out to be one of my former students who's taking her master's in Korea now!! I was happy that she was given the opportunity to study in Korea as I wrote her recommendation letter for the scholarship. So happy that you made it!! - After a hearty lunch in Insadong, my colleagues and I went to Korea University to attend a lecture delivered by two esteemed professors from our team. Korea University hosted a pleasant dinner for us after the lectures. - We went back to the hotel afterwards, and since my luggage was already good to go for the next leg of our Korea trip, I went outside and walked around Jongno to get a last glimpse of Korea before leaving the next day. CAN I TAKE THEM HOME. Bought some after-dinner snacks - a corndog, hotteok (bean pancakes), and cherry-blossom coke. - It is increasingly hard to find things to do (that I'm interested in) in Seoul, but it just keeps surprising me each time I go. Seoul will forever be one of the cities that I will keep loving, especially since its markets always give me good finds!! - February 24, 2019, Sunday. 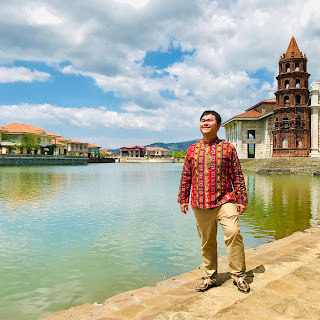 - Before anything else, I can assure you right now that the Philippines is an amazing country to explore, even though I haven't traveled much around the country in the recent years. The main reason why I haven't really gone around recently was because of too much eco-tourism and colonial-era tourism; for me, I personally would like to see more of the Philippines' indigenous cultures to learn more about "native" Philippine cultures, like what I did in Lake Sebu last year (click here and here). 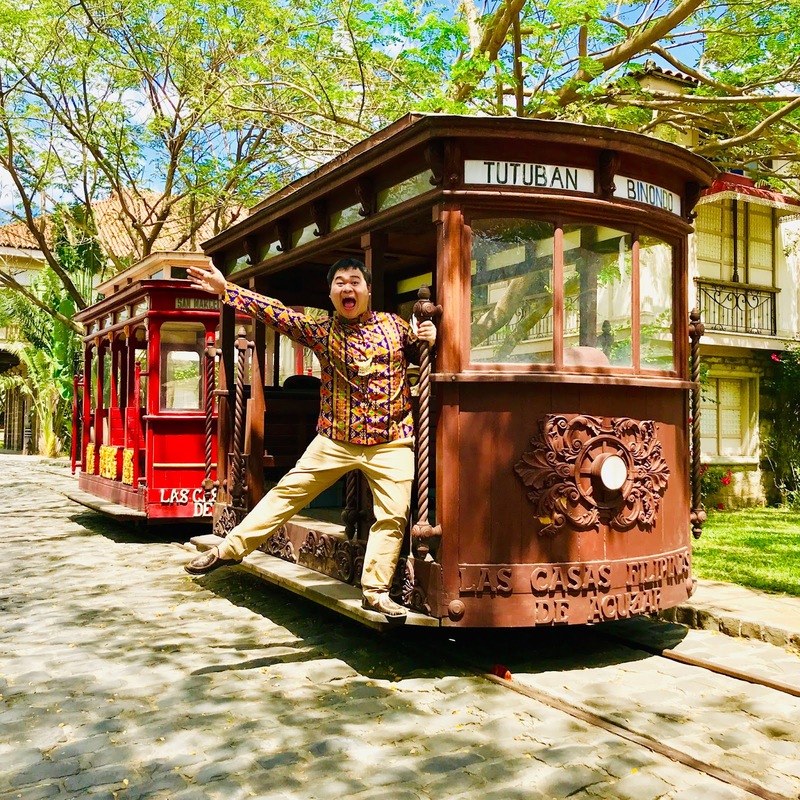 However, places such as Manila's Intramuros or Vigan City's Calle Crisologo that not only showcase but also immerse tourists in Spanish-colonial Philippines do interest me because they make me feel like I have traveled in time. 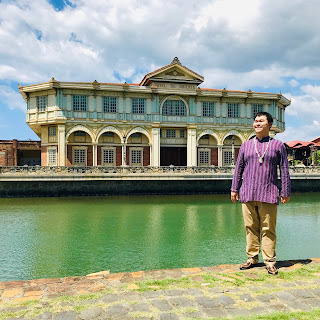 This was why it did not take long for me to say yes when my dad asked the family if we wanted to go on a day trip to Bataan's Las Casas de Acuzar. 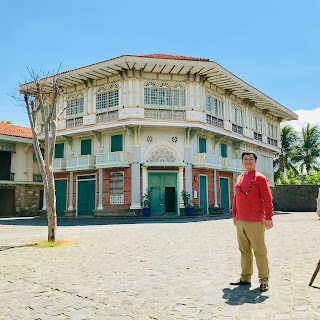 - Las Casas de Acuzar has always been on my local travel bucket list because it is a "heritage resort" currently has around 30 heritage houses mostly from the Spanish-era and a handful from the American-era, with some being used to host overnight guests. Those not used to host overnight guests function as museums, restaurants, and offices. The resort was the brainchild of Jose "Gerry" Acuzar, who started building the resort in 2003, and opened it to the public in 2010. Bataan itself is no stranger to historical sites as many events have happened in this province, and Las Casas just added more "history" to this land. 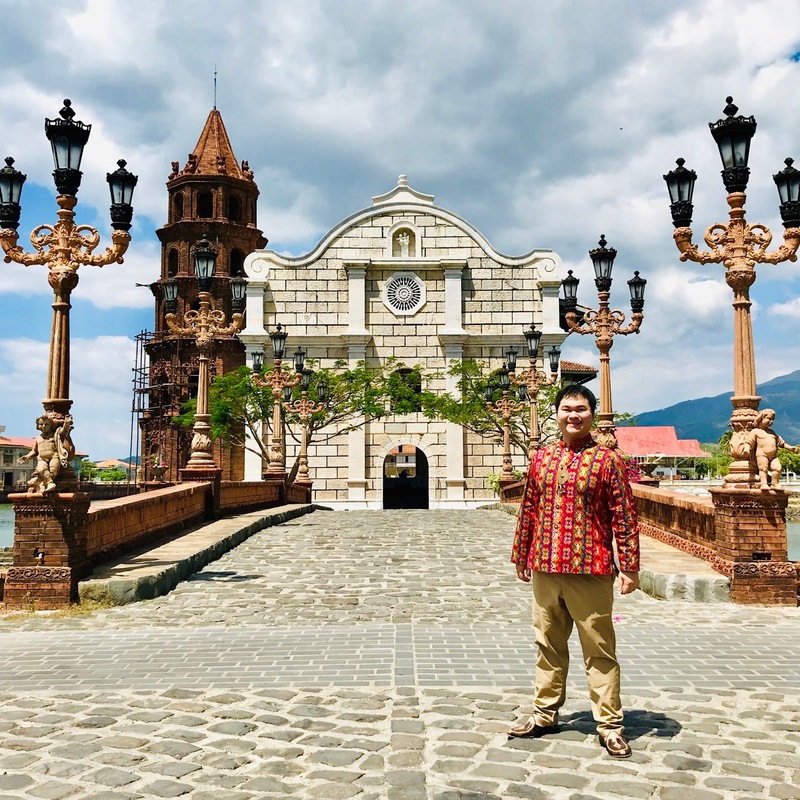 - After almost a 3-hour drive from the heart of Manila to Bataan, including a 1-hour breakfast stopover, we were finally able to reach Las Casas de Acuzar; Bataan isn't that far from Manila; after all, the Bataan Peninsula forms the northern frontier of the Manila Bay. 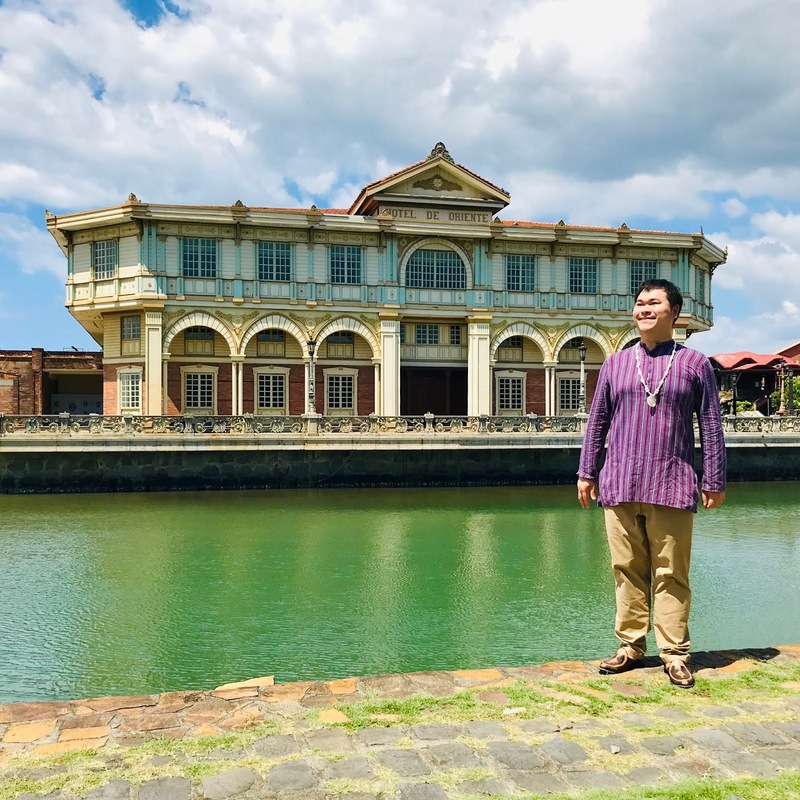 The whole area of Las Casas de Acuzar was a lot smaller than I expected, but it wasn't underwhelming as the houses were still impressive. Imagine, all these houses were transported and rebuilt from nearby provinces and cities, most of which were about to be demolished, (mis)used by illegal settlers, or with parts even found in junk shops!! Hotel de Oriente at the back. 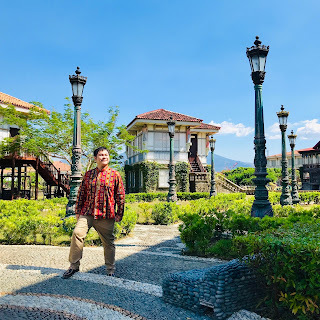 - After paying a 2500PHP entrance fee (full weekend rate), which includes a 500PHP food stub that can be used in any restaurant, one-hour tour, and use of other amenities (click here for the Las Casas website), we were free to roam around the whole place. Just to avoid the harsh sun, we decided to take the 10AM walking tour of some houses. 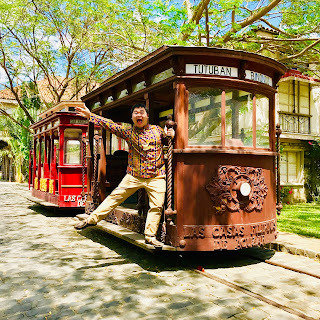 By the way, tourists can go around by riding a jeepney/shuttle for free, or the best way - by foot. 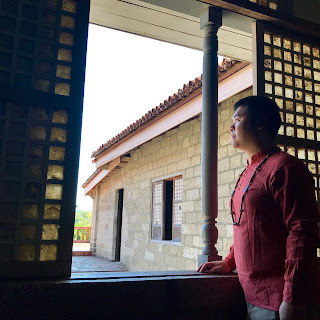 - We first visited Casa Biñan, from Biñan, Laguna. 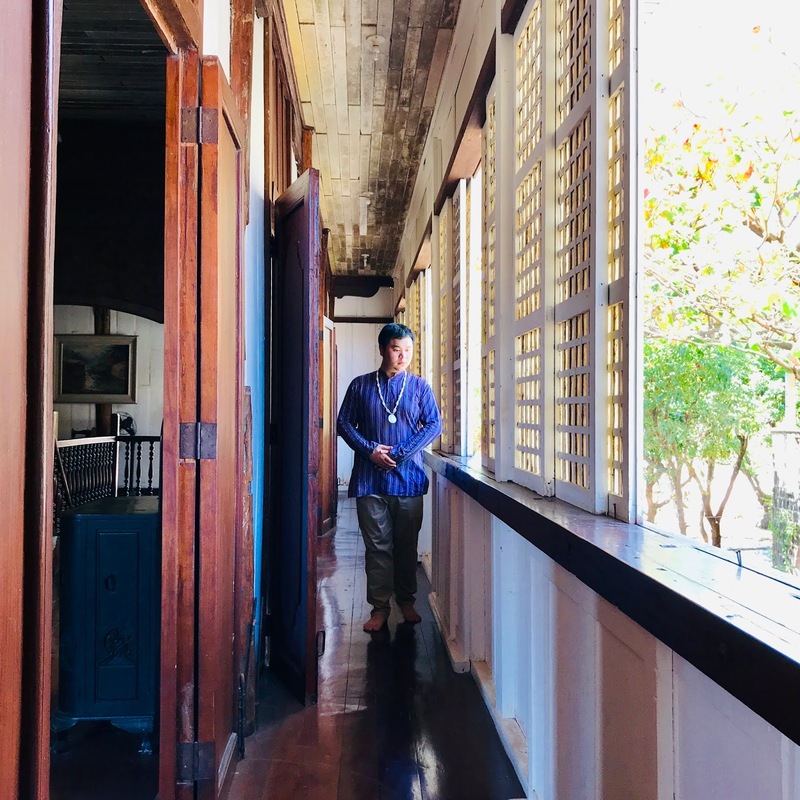 This 16th-century house was the house of the mother of national hero Jose Rizal, Teodora Alonso. 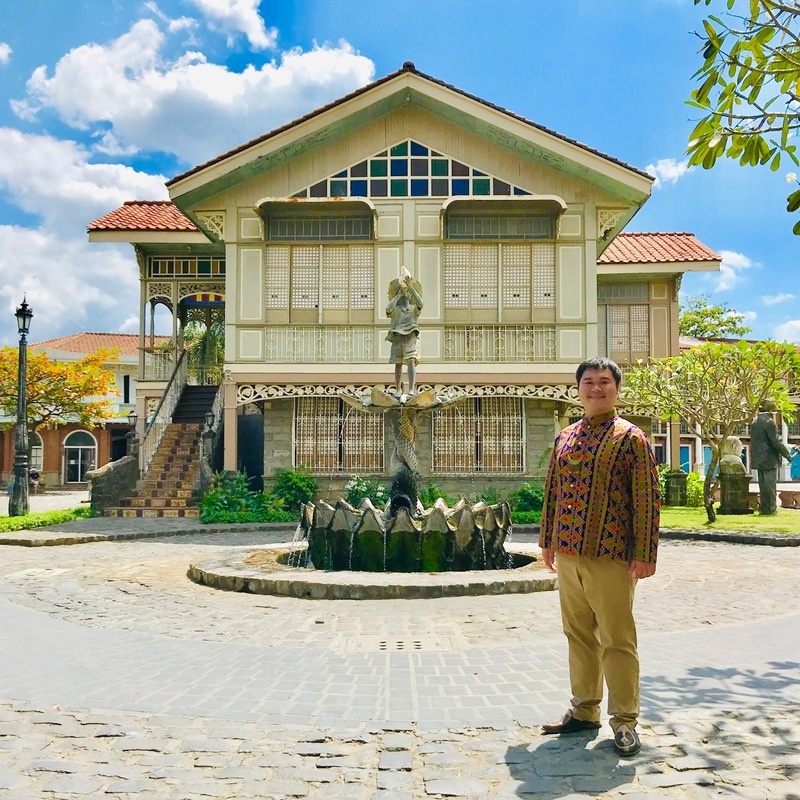 This house was said to be a "tragedy" in preserving houses as the house that stands in Las Casas today is just half of the original house. The other half remains in Laguna today. This house is also familiar to some keen eyes as its courtyard was used as a filming location of the 2015 period film "Heneral Luna." Also, another part of Casa Biñan houses the resort's Italian restaurant. You know those usual looking-out-the-window-from-some-old-house paintings? Yeah, that's the inspiration. - Two doors away, is Casa Quiapo from Quiapo, Manila. It used to be located along Hidalgo Street, which today is still filled with poorly-maintained heritage houses. 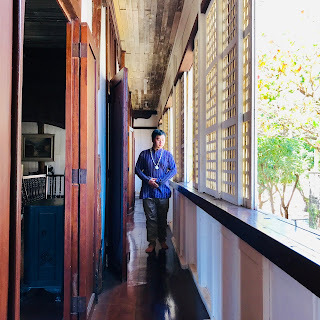 This house from the mid-1800s was the first building of the University of the Philippines, particularly its School of Fine Arts. Today, the building houses some contemporary traditional-themed artwork by Filipino artists. Some national artists like Fernando Amorsolo and Carlos "Botong" Francisco studied arts in this particular building decades ago. Replica of a page from the Boxer Codex. The Boxer Codex is a book from the late 1500s that has illustrations of the different indigenous people and migrant communities in the country. Casa Quiapo, also known as Casa Hidalgo. 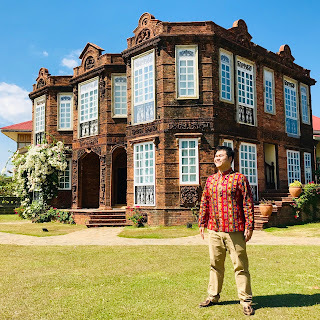 - Finally, we visited Casa Lubao, from Lubao, Quezon. This young house, being built in 1920, was owned by the Arrastria family who put through a then-penniless Diosdado Macapagal to school. Of course, for those of you from the Philippines reading this, you'd know that Diosdado Macapagal later became the 9th president of the Philippines and is the father of 14th president Gloria Macapagal-Arroyo. Passed by Hotel de Oriente, which used to be located in Binondo. It used to be the country's top hotel, and was second to have a telephone after the Malacanang Palace. Oh, and there were calesa rides too. Lola Basyang telling stories to children. Lola Basyang, however, wasn't a real person, and was just a pen name of Severino Reyes. 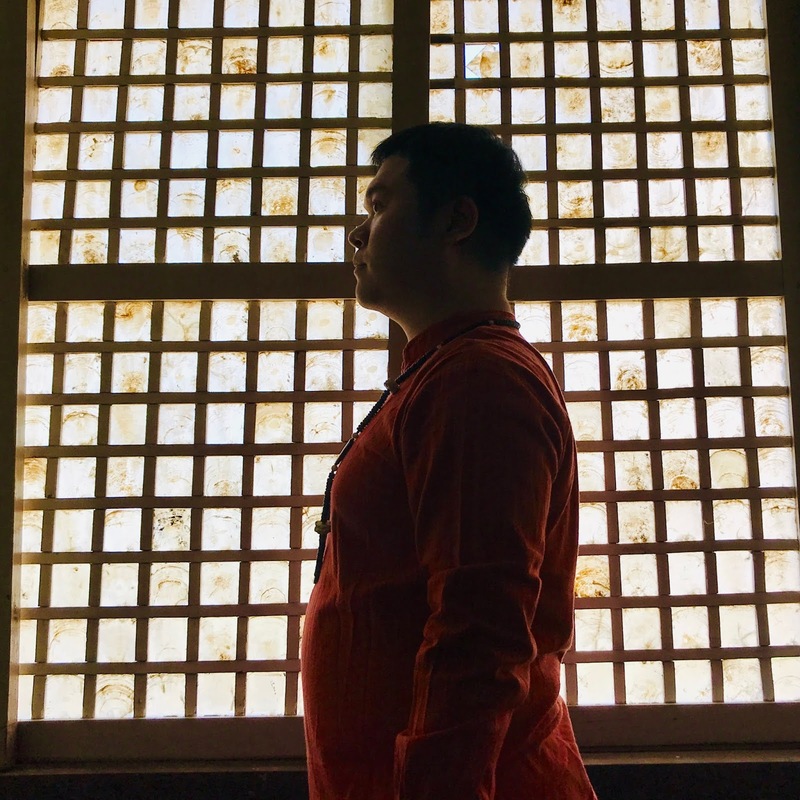 Severino Reyes, who by the way was a boy, was a founder of the Liwayway magazine where the Lola Basyang stories would be featured. 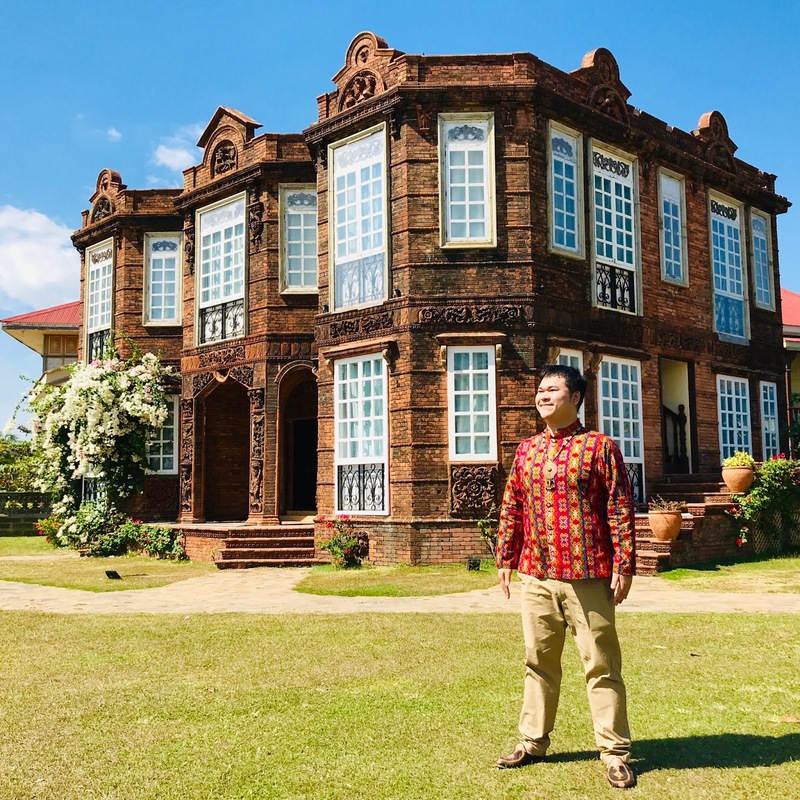 Casa Hagonoy, from Bulacan. I actually wanted a photoshoot with this house but there were too many eyesores around the house that time - including a sprinkler. I should have done a photoshoot here, #regrets. - My dad was all set to go back home, I had one special request. Throughout grade school, my history and social studies books would always talk about the "Dambana ng Kagitingan" (Shrine of Valor,) also known as the Mount Samant National Shrine, which I had never seen in my life. It was made in the 1960s by former President Marcos to honor Filipino and American soldiers who fought against the Japanese forces in World War II. On the way to the shrine, which was a few mountains away, I noticed that the roads were filled with Death March markers, marking the route of the Bataan Death March where tens of thousands of soldiers were forced to walk from Bataan to Tarlac (which was a really long journey on foot by the way) by the Japanese in 1942. 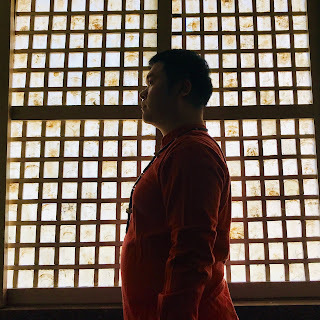 - I got to Mount Samat in no time as there wasn't any traffic in Bataan - it was a good breather from what I'm used to in Manila. The Dambana ng Kagitingan was a larger-than-life cross on a mountain, and visitors may explore the grounds including taking the elevator up the cross after paying a 30PHP entrance fee. Since my parents coudln't walk up the flights of stairs BEFORE reaching the elevator, we just appreciated the cross from the outside, and just went inside the shrine's small museum on World War II. A better angle. Thank you wind for cooperating. "Mickey Mouse Money" bills issued by the Japanese government. These were bills that had no real value. - On the way back to Manila, I had some rest in the car, before stopping over for dinner. Surprisingly we didn't arrive home too late in the night, which my family usually does (and which I hate.) 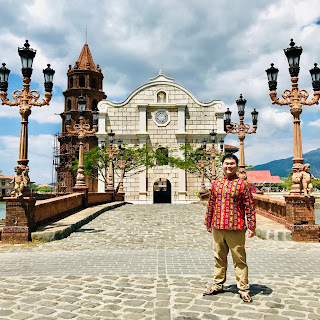 I don't normally like day trips or super short trips, and despite certain person concerns about Philippine tourism which I had stated above, I had no regrets saying yes to this day trip to Bataan. 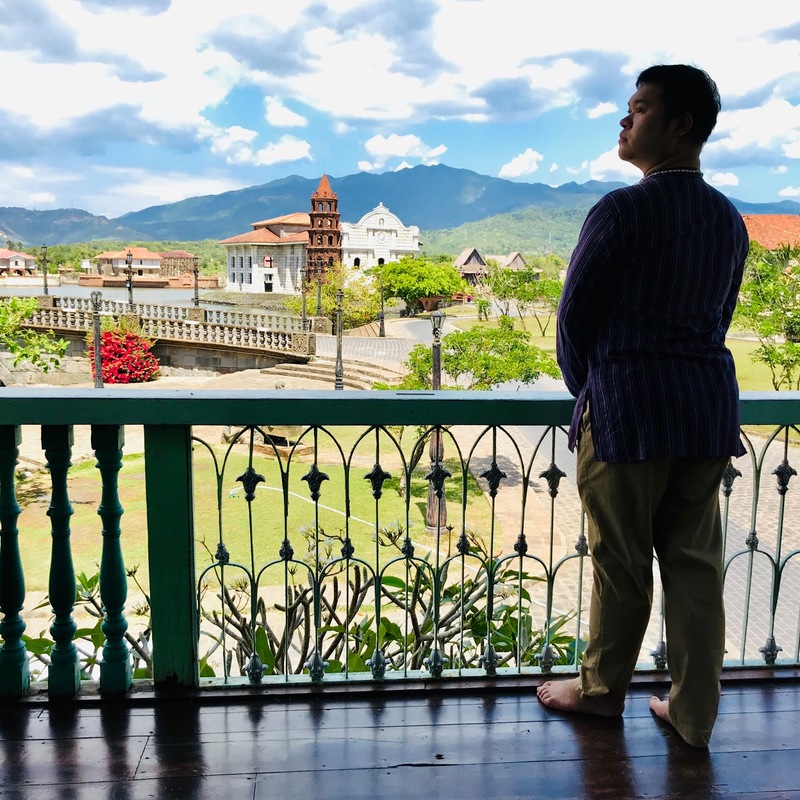 I do hope to have more chances to rediscover more of the Philippines in the near future, especially places that can shed more light on early/pre-colonial Philippine history, which not many Filipinos know about. Welcome to Itchy Toes Adventures!! I am Gilbert Que, and I am everywhere! Some of my friends call me Gibby, and I think that's a cute name. I like to travel, eat, learn languages (I speak a lot,) and meet people. I am passionate about cultures; I collect traditional and indigenous clothes and accessories from around the world. 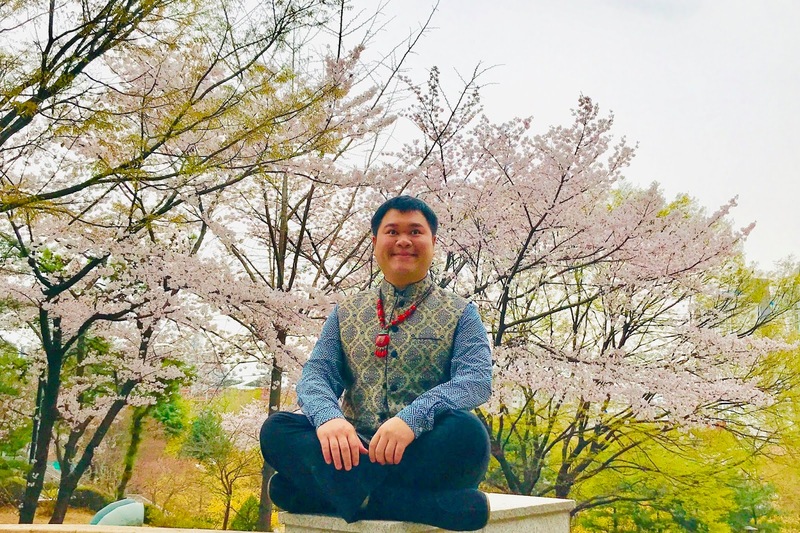 I am an academic, specializing in Asian Studies (particularly India,) communication, and sociolinguistics. I am also a performer, and the world is my stage.